Our lives for you, mother… our lives for you, Palestine. If you travel along Al-Jabal street, you pass by a monument, not huge and not small, on the side of the road. You can’t miss it, but if you are travelling in a hurry, you might notice it but not really see it. In the early morning, the fresh breeze sends a handful of cool kisses to the monument and in the late afternoon, the branches of the huge cypress tree bend forward to shield the monument from the scathing sun. Passersby stop in front of it, read a silent prayer, a hymn, some stretch their hands to touch the stone, others just stand there and maybe think of that day 5 and a half years earlier. And while the buzz of daily life is heard in the distance, it is calm in front of that monument, as if the houses, the cars, the stones, the birds and the leaves hold their breathes to try and a hear words that were spoken in that very spot, on that unforgettable Sunday. Travelling along Al-Jabal street, you automatically look to your left or to your right, depending on where you are coming from, and you look at the two faces drawn in the heart of Palestine, read their names engraved in stone for eternity, and you can almost see them smiling, you can almost hear them whispering: Our lives for you, mother… our lives for you, Palestine. It is a monument for two comrades, two Palestinian brothers, two bodies whose heart was beating as one for Palestine. It is a monument for two martyrs, one of the many monuments that decorate the streets and the alleys of Palestine, one of the many monuments that stand as reminder of the thousands of Palestinian heroes and their sacrifices. It is a monument that tells a Palestinian tale, a tale of Palestine and her children: Ahmad and Daniel. On the evening of Sunday, 23.04.2006, three comrades, Ahmad Mohammad Ali Misleh, 27 years old from Dheisheh refugee camp, Daniel Saba Abu Hamameh, 25 years old from Beit Sahour, and Arafat Abu Sh’erah, 25 years old from Al-Azza refugee camp, met for a ride through the streets of their beloved Bethlehem. It was Easter and Daniel had spent the day with his family at the Nativity church celebrating the feast. The comrades were laughing and talking in the car, like friends in their age, young people loving life, hoping for a better future and dreaming of a free Palestine. At 6 pm that evening, Israeli special forces, known as Mestariveem and dressed in civilian clothes and black masks, invaded Bethlehem and set up an ambush around the psychiatric hospital. When the 3 comrades reached Al-Jabal area, and as they passed in front of the hospital, the Israeli special forces, backed by Israeli occupation troops, surrounded their car and without warning started shooting heavily at them from all directions. Ahmad tried to escape the bullets and was murdered the minute he opened the car door. He fell outside drowning in his blood. Daniel and Arafat were injured as well and eyewitnesses report how the Israeli soldiers dragged the three, soaked in blood, 10 meters on the asphalt before leaving Ahmad’s dead body. Daniel, who was injured in the leg and the chest, was then stripped of his clothes and dragged some 100 m into a nearby storehouse. Arafat was shot, beaten and kidnapped and for sometime his family didn’t know where he was and whether he was dead or alive. During this assassination operation, eyewitnesses reported how a large Israeli contingent closed Al-Jabal road completely and started shooting live ammunition and tear gas in the area minutes before the assassination took place as a form of cover-up for the execution, and continued to shoot as people rushed to the scene minutes after the ambush. Neither the people who had gathered were allowed to reach the injured, nor were medics allowed to come close and provide medical help. `It was so hard, so disgusting what the soldiers did,` an eyewitness reported and another said: `Their blood spilled in the streets. All the blood went from them`. The Palestinians gathered there started throwing stones at the Israeli occupation forces in an effort to make them release the two injured and were met with more live ammunition and tear gas. After the assassination operation was complete, the Israeli special forces and the accompanying occupation soldiers withdrew from the area, leaving death, anger and sorrow in the little town of Bethlehem on that Easter Sunday. All this took place while the so-called PA forces were “absent”, disappeared, vanished into thin air according to the military coordination agreement with the Zionist occupier; be present to oppress your own people and to prevent them from resisting the occupation, be absent when Zionists massacre your people. It was the third assassination operation to take place in occupied Bethlehem within a month and the so-called PA and its forces, armed only against the Palestinians, remained and remain partners in Israel’s crimes with their inaction, absence and their “security coordination” with the occupiers of Palestine. And like with many Palestinians who were extra-judicially executed by Israel, Daniel was detained by the “PA” forces for resisting the occupation and had been released just before his assassination. One question, one single question comes to mind when standing in front of that monument, knowing that while these young men were being assassinated, dragged across the road while bleeding, and while many Palestinians gathered and tried, with mere stones, to force the occupation soldiers to let go of the dead and the injured, PA “security forces”, not far away from the scene of the crime, were in hiding: how does it feel to get a phone call from Israeli death squads and to be ordered to disappear from a certain area supposedly under your control because the special forces want to extra-judicially execute a fellow Palestinian? Ahmad arrived dead at Beit Jala Hospital where “a medical examination determined that he was shot in the head and in the neck at point-blank range.” Daniel was shot in the chest and the leg, was stripped of his clothes and dragged a 100 m to a nearby storehouse where he was executed. Many witnesses, and the images taken at the time, testify that Daniel was captured alive. Daniel’s family believes that he reached the hospital dead and not as the Israeli occupation army claims that he died in hospital. In fact, the hospital was unable to do anything for him except announce him dead the minute he arrived there after 8 pm that evening. Some of his relatives said they believe he was taken to the hospital a dead body, and they believe that Israeli doctors took some of his organs while he was in the hospital.” “The army claims he died of his wounds, but investigations by the Palestinian Center for Human Rights indicate he may have been executed after his arrest. Daniel’s father, Saba George Abu Hamama, said his son was executed “My son was wanted; he was under surveillance for a long time. When they got the chance he was with two other young men, they started to shoot at their car, near the psychiatric hospital, even though they were unarmed. They shot them he did not die but was injured. They pulled my son for 20 to 30 meters into an open garage where they killed him, clearly it was an execution.” He adds that the assassination of Daniel was Israel’s Easters gift to the family. Why was Daniel dragged into a warehouse if not to be executed away from the eyes of the crowds that had gathered? The Israeli occupation army later claimed that Ahmad was armed, when he wasn’t, and used this lie to justify the assassination, but how can they justify killing in cold blood a young man who was clearly injured, unable to move or be a threat and who was dragged in front of many witnesses, some of whom took pictures? So he had to be executed in a warehouse, away from eyewitnesses and later claim that he died of his wounds. Not only did the Zionists murder the two Palestinians, but the Israeli hospital administration refused to release Daniel’s body for burial until his family paid the hospital bill. An audacity so typical of the Zionist occupiers; demolish Palestinian homes and ask the homeless to pay for the demolition, kill Palestinians and ask their families to pay for the bullets that killed them. The family refused to pay the bill out of principle, for how do the Zionists expect Daniel’s parents to pay his killers for the crime they committed? After its efforts to extort money out of a grieving Palestinian family failed, the Israeli hospital was finally forced to release the body. As often is the case after it murders unarmed Palestinians in cold-blood, the Zionist entity and its death squads start presenting one lie after the other as justification for the murder, massacre and extra-judicial execution of Palestinians. When four Palestinian children were killed in a similar extra-judicial operation targeting their father’s car, the Zionist entity gloriously stated it had eliminated 4 “terrorists”. When Israeli occupation soldiers killed 23-year-old student Mahmoud Salah in cold blood while he was handcuffed, the Zionist entity rushed to claim it had eliminated a “suicide bomber”, despite photographs taken at the scene of the crime that show without any doubt how Mahmoud was handcuffed, pinned to the ground, stripped off his clothes (showing that he had no bomb strapped around his body) and executed in cold-blood. When 15-year old Fahmi Ad-Darduk was shot and killed in cold blood at an Israeli checkpoint, the Zionist entity rushed to claim that Fahmi had a bomb, despite eyewitness accounts that the boy had headphones visible to everyone and was listening to music. 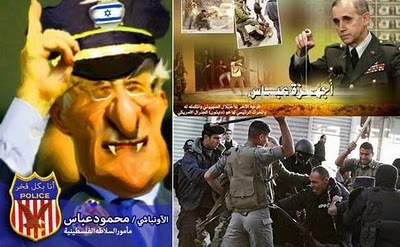 Countless number of Palestinians; men, women, children, elderly, students, workers, doctors, housewives, were killed in cold-blood, hunted down like animals by Israeli occupation soldiers, just for being Palestinians, and the killer rushed to claim that the victims had bombs that were never there or had knives that were only visible to the Zionist eye. Ahmad, Daniel and Arafat were unarmed and were executed in broad daylight, in the middle of a road, in a residential area and in front of children. First the Israeli occupation army justified the extra-judicial execution by claiming that the young men were armed. When it turned out they weren’t, the occupation army claimed that Ahmad tried to escape the arrest and was shot and killed. But eyewitnesses refuted this claim because the young men were ambushed, they were shot at heavily and without warning from all directions, and it is only normal and instinctive that they would try to escape the car to evade the bullets that were raining on them. Then finally, the occupation army gave as justification that Ahmad was on the “wanted” list. And here lies the truth of the whole operation: the death squads were on a mission to extra-judicially execute Palestinians. Don’t detain him, don’t question him, don’t take him to court, don’t give him the chance to speak and defend himself, just execute him! During the ambush, the Israeli death squad started shooting heavily even while the car was still on the move, meaning that they didn’t intend to arrest the “wanted” Palestinians, they wanted them dead. They didn’t intend to arrest them, interrogate them and bring them in front of a judge. No, they were to be executed without questions asked. The fake entity that claims it is a “democracy” and a “state of law” murders before asking the questions and presents its “case” after the execution is over and after the blood of the victims runs rivers in the streets of occupied Palestine. The only law of this entity of lawlessness is: Murder, massacre, maim everyone who is a Palestinian. When a Palestinian is “wanted” for refusing injustice and for yearning for freedom, don’t arrest him but murder him, for a bullet is cheaper than a prison cell. Western and Pro-Zionist media rushed to justify the extra-judicial execution of unarmed Palestinians by repeating the lies of the occupation army and taking the word of the killer to be the truth. The AP for example claimed that the two young men were killed “in a fight with Israeli troops” giving the impression that there was a fight between the young Palestinians and the Israeli occupation soldiers, when in fact it was an ambush, a planned and premeditated extra-judicial execution of two unarmed young men who were going for a ride in their little town of Bethlehem on one sad Easter Sunday. The crime was documented with pictures, but the world remained silent. The image of Ahmad’s body lying on the ground while the Israeli occupation soldiers drag Daniel on the street stood/stand as unquestionable witness to the crime. The image of Daniel stripped naked and being dragged away stood/stand as unquestionable witness to the immorality of the “most moral army in the world”. But the world, the “civilized” world, the ”conscientious” world, continues to act blind, deaf and mute to Israeli terrorism and crimes against humanity. A grandfather is killed in cold blood in his own bed and the Israeli occupation forces, the death squads that massacred him, justify their crime by saying that they mistook the apartment and killed the wrong person. A world that cries “human rights” non-stop is mute when massacring people, extra-judicially executing them becomes so casual that fake apologies are given for killing the wrong person but not for the killing itself. And while the “conscientious” world continues criticizing Palestinians for practicing their legitimate right to defend themselves, an unarmed young Palestinian returning from the mosque after morning prayer is extra-judicially executed by Israeli death squad, two young Palestinians are hunted down and extra-judicially executed in the streets of Qalandia, a young student is extra-judicially executed at an Israeli military checkpoint followed by another and another and another. And while Israeli terrorists tour the world freely, are received with red carpets in the capitals of “civilization” and “human rights”, Palestinians fighting for their rights, for freedom, for the simplest of human rights; the right to move, the right to breathe, the right to exist, are arrested in the middle of the night in these capitals of “human rights” and are imprisoned and portrayed as “terrorists” and a “threat to western civilization”, when all they ever did was peacefully demand their rights. And while the Zionist entity continues its killing spree, and while the “conscientious” world is busy defending the killers, the “PA” goes on with work as usual, occasionally mildly condemning the Zionist crimes while continuing the securing coordination with the killers. Anyone fighting for his/her freedom and for the freedom of his/her country from Zionism and western imperialism is, according to the ‘western capitals of human rights’, a fanatic, a terrorists, but those who occupy foreign countries and massacre peoples are liberators, those who bomb weddings and schools are liberators, those who massacre children and label it “collateral damage” are “civilized”, but never fanatics, never terrorists. And according to the ‘western capitals of tolerance and keeping state and religion separated’, those who occupy other people’s land and claim it theirs because “God promised us the land” are no religious fanatics, no, just democratic and tolerant, seeking a pure Jewish home over the bodies of non-Jewish Muslim and Christian Palestinians. The Zionist entity is a lie from it’s A to its Z; claims to be against capital punishment but extra-judicially executes Palestinians, executes them without evidence, without court hearings, without witnesses and without giving the accused the chance to defend themselves. According to the Zionist entity, every Palestinian is guilty without evidence, every Palestinian is guilty even after death. An entity that even punishes the dead by holding their bodies hostage to “finish their sentence” is a morally depraved entity that is the embodiment of the hate, racism and disrespect to human dignity. It is an entity that is based on the categorization of humans according to their beliefs and religion; Zionist Jews are humans, non-Jews and non-Zionist Jews are subhuman. Such an entity should never have been allowed into the league of humanity because it embodies every action that is inhumane, and it’s “shows” of humanity are nothing but charades to cover up its long track of blood and its unprecedented record of crimes against humanity. Is there one crime against humanity you could think of that hasn’t already been committed by the Zionist entity and its death squads of the “most moral army in the world”? No, they are the masters of inhumanity. It was Easter Sunday, and like every feast under occupation, Palestinian shed tears of blood instead of tears of joy like the rest of the world. This Easter story is a story of the on-going suffering of the people of Palestine, another proof that the Zionist occupation knows only the language of death and murder, does not distinguish between colour nor religion, but that Zionism sees in every Palestinian; young or old, man or woman, Muslim or Christian, a ‘threat’; a ‘threat’ that needs to be eliminated so that the ‘pure race’, the ‘chosen people’, war criminals, terror gang members, mafia bosses and nightclub bouncers can colonize and occupy a land that is not theirs and kill and massacre its indigenous people and claim it ‘a land without a people for a people without a land’. And in a useless effort to break the unbreakable unity among Muslim and Christian Palestinians, after the murder of Ahmad and Daniel the Israeli occupation forces apologized and announced its “sorrow” over the killing of the “Christian”. But the people of Bethlehem replied by joining the funeral of both and chanting in one voice against the occupation, against the injustice, they chanted for freedom, they chanted for Palestine. And on posters of him, Daniel’s comrades wanted to send a message to the world that turns a blind eye to Israel’s crimes, ignores Palestinian victims and rushes to defend Israeli criminals and terrorists. The message is: Jesus Christ is still being crucified in occupied Palestine every day because of the absence of truth and justice. The small town of Bethlehem cried for her sons Ahmad and Daniel that night; and a cloud of sadness engulfed the whole town. On Monday, thousands of Palestinians came out from every corner of Bethlehem and the surrounding to mourn the two brothers and to say ‘until we meet again’ to the heroes, to walk with them on their final journey and hand them back to their mother, the mother of us all; Palestine. The funeral processions toured the streets and the alleys Ahmad and Daniel so often walked and so much loved. They were taken to their final resting places as the churches and the mosques of Palestine united and as the sound of the athan and the church bells united in their cry of rage and of sadness. The cross and the crescent hugged and united on that day as on every day in occupied Palestine to represent Palestine, to send a message to the world that Palestine is for the Palestinians and that the Palestinians are one people, one struggle, one body, one heart: beating for Palestine. Their hopes, dreams, aspirations unite for Palestine, their tears, wounds and blood unite for Palestine, their struggle and resistance unite for Palestine. The martyrs unite us, their blood unites us, their sacrifice unites us and they lead the march towards Jerusalem.